The St. Vincent (Annie Clark) and Craig Wedren cover of Fleetwood Mac's "Sisters of the Moon" is the newest track to be released off of the forthcoming tribute album. 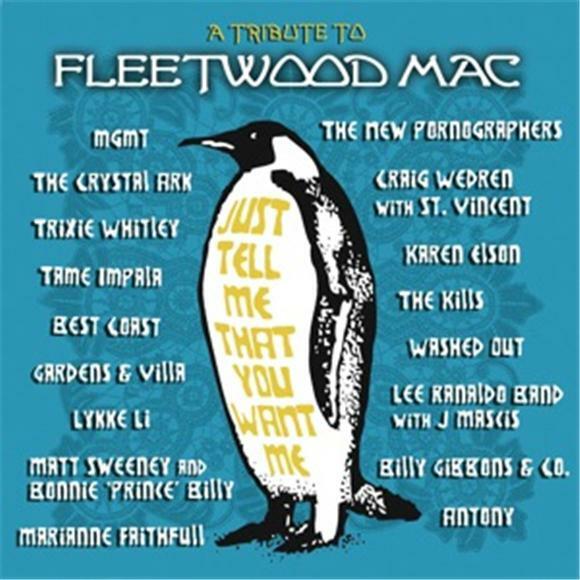 The album, titled Tell Me You Want Me, covers songs from the long career of the legendary and innovative Fleetwood Mac. Each song is covered by different musicians (MGMT, Lykke Li, Best Coast, to name a few) and tracks will be released incrementally until the album release date (August 14th). Former frontman of Shudder to Think, Craig Wedren, gives a stripped down rendition of "Sisters of the Moon" as he solos. Annie Clark enters with processed vocals, and together, they present a creative cover of the Stevie Nicks song. The original is uniquely organic and possesses a dreamy feel. Craig Wedren and Annie Clark speed the song up and give it a completely different aesthetic without taking away the sentiment of the original song.